Leighton Buzzard is situated in Bedfordshire approximately fourteen miles between Milton Keynes to the north and Luton to the south east. The town has expanded hugely over the last few years with several out of town developments expanding into the town and the town centre needed to adapt to this influx of people. A Charter Market has been held in the town since 1086. I don’t want to make too much of the negativity that has surrounded the market in recent months, as it is in the public domain anyway, but it is important to get a background of what has happened. 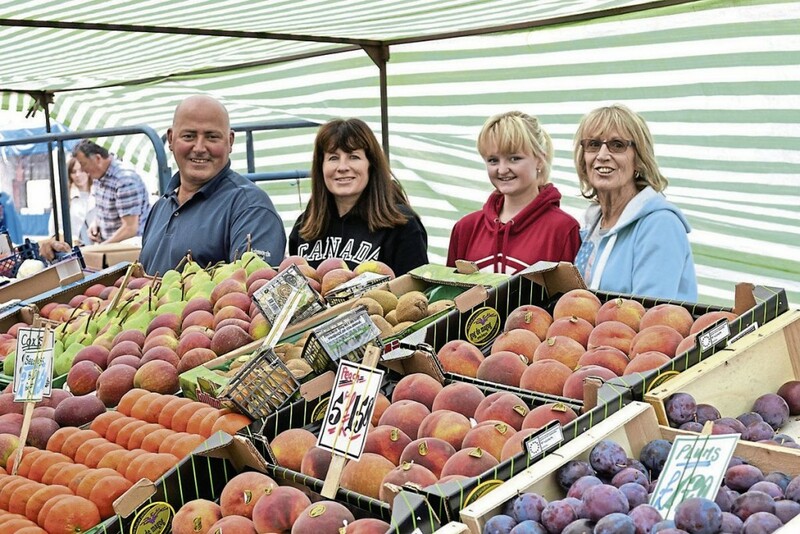 Following a survey on the town in 2014, the market came 17 out of 24 in reasons to visit the town. 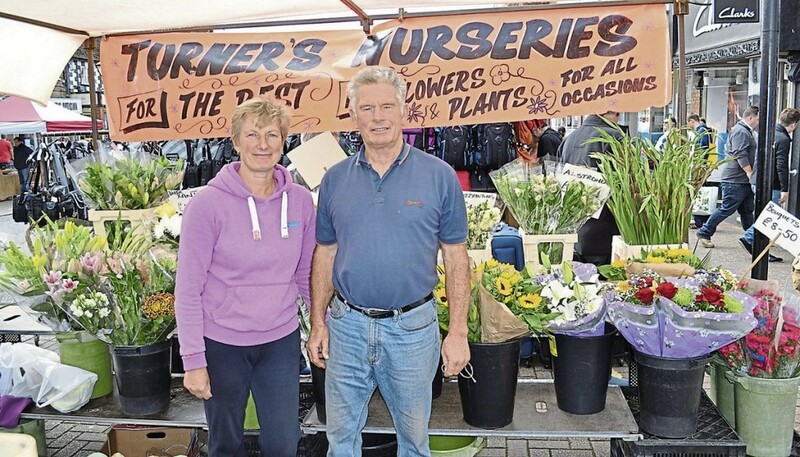 One of the recurring themes was to make the market stronger and as a direct result of these findings, a committee was formed from local retailers, voluntary groups and town and unitary authority councillors. Its purpose, to review the findings from the survey and make recommendations, with one of the outcomes being to support market improvements. Following a successful Market Town Regeneration Fund application in 2016, consultants were bought in to assess the results of the survey. who were tasked with identifying a future growth plan for Leighton Buzzard Market including optimum mix, layout and location. They needed to explain why investment in the market was necessary and identify actions to improve performance for traders collectively that the Town Council could help support. These were then presented to the Market Sub Committee on 13 October 2016. The results showed that traders were of the opinion that trade was down when compared to that of the retailers (who were experiencing increases) and customer numbers were lower. 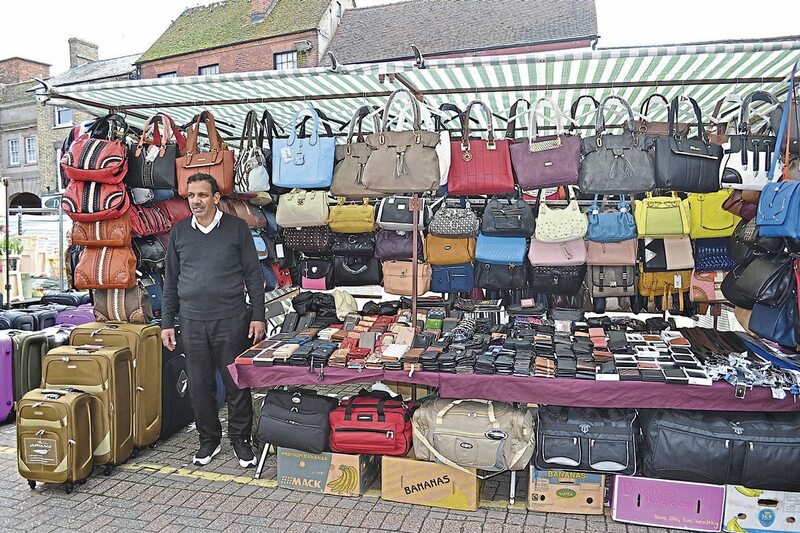 The final consultant’s report identified that Leighton Buzzard had an underwhelming market. There were loyal customers who visit specific traders, however, there were many town centre visitors that were not prepared to dwell and explore because it was uninspiring in terms of layout appearance and variety. In February 2017, a Market Improvement Action Plan was presented to the Markets Sub-Committee. Within the plan was the recommendation to move the market to one side of the High Street, standardise the trading areas with a fair pricing policy and provide smart new gazebos to replace the stalls. 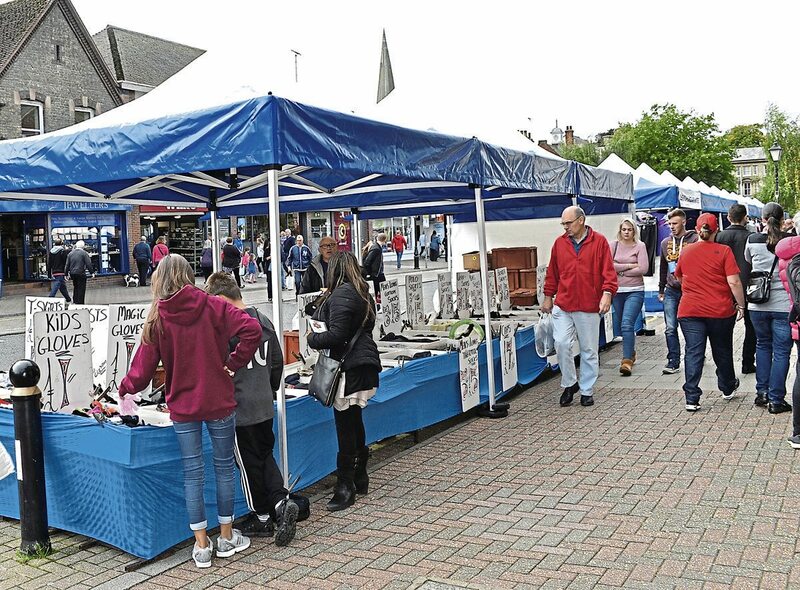 Two consultation exercises were held exclusively for market traders, as well as two dedicated sessions for the public, based on the recommendations coming from the report. Online surveys remained available throughout the consultation period for both parties. Retailers received a hand delivered leaflet informing them of the consultation and ways to get involved. This included a new market layout. The Markets Sub Committee took advice from the NMTF on the proposals who were completely behind the plan and gave further recommendations. 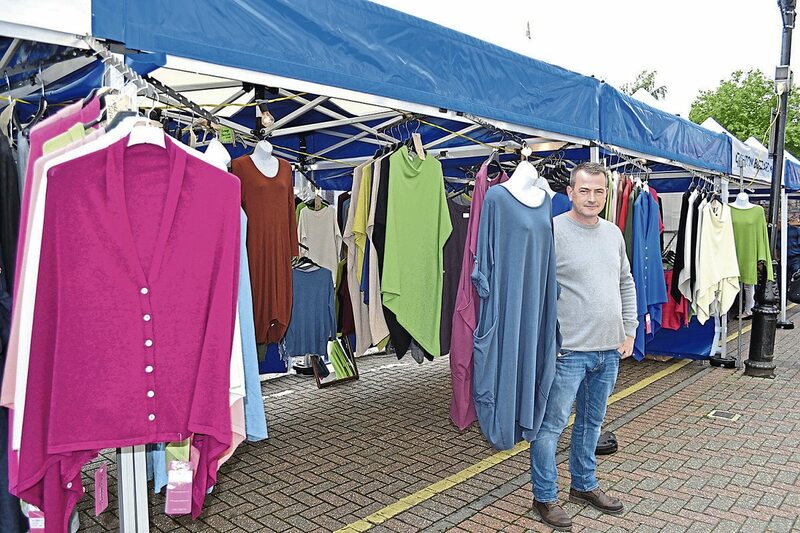 I spoke to Cllr Mark Freeman, Chairman of the Market Sub Committee at length and he explained the vision for the market. There had been very little investment in the market in, he estimated, 25 years and for it to survive, it was noted that it needed bringing up to date. 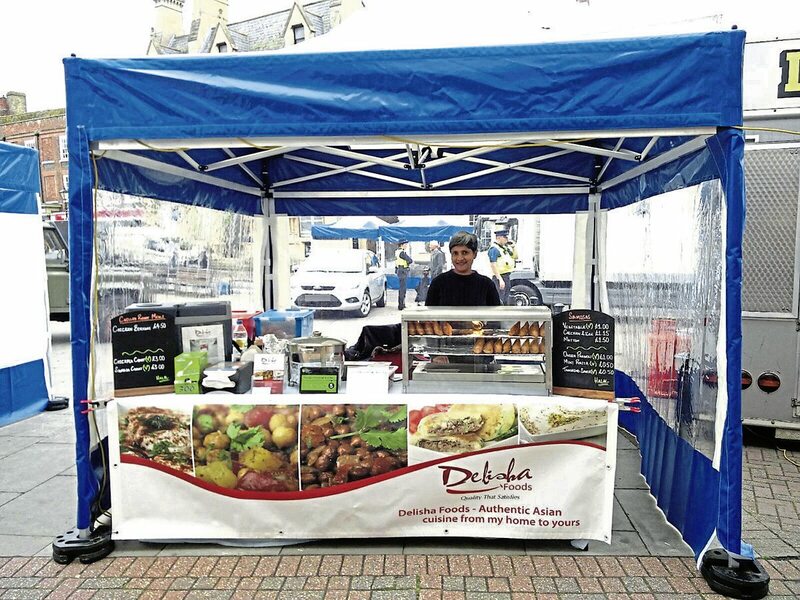 The purpose of the smart new gazebos was to provide impact to the market. One of the market surveys brought forth a comment that it looked like a car boot sale (referring in particular to one stall) Having spoken to the traders myself, most agreed the market was tired and needed improving. 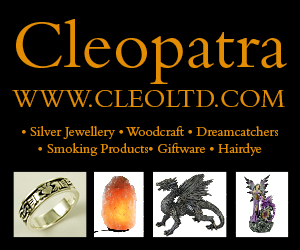 Mark agreed that they wanted to raise the overall image of the market, to one that only sold brand new, quality items. 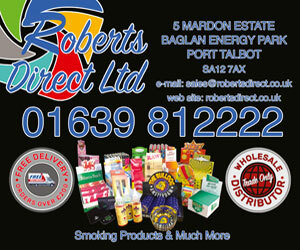 Adrian Harrison is the Market Manager at Leighton and a former trader of 42 years. He has worked tirelessly with the traders and council to smooth the path and I believe that the relationship that he has with the traders has helped immensely. He refers to Leighton market as: “My market”, which shows the genuine passion that there is for it, which is resonated around the town. He explained that the new gazebos offered more space for less money and they also did not have to pay an erection fee of £5 as before. He commented that he thought that the traders didn’t genuinely believe that the changes would happen. He also said that he had no idea until he joined the Council, how much work went on behind the scenes and he too had been somewhat guilty in the past of misconceived preconceptions. The investment in the market’s future is supported by Central Bedfordshire Council, through its Market Town Regeneration Fund. Leighton Linslade Town Council, has match funded the work creating a total of £113,000 investment. This is an investment in traders and the town towards ensuring a market which is relevant for today and, most importantly, the future. 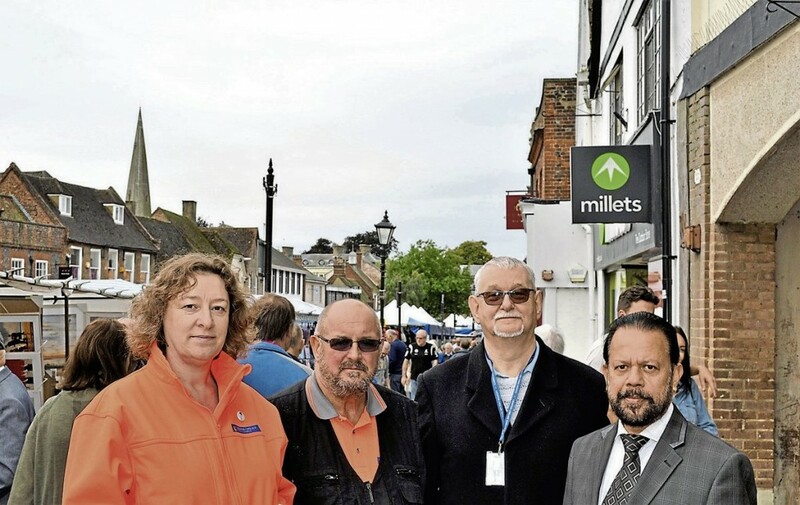 Cllr Nigel Young is the Executive Member for Regeneration at Central Bedfordshire Council who helped secure a £1m fund for Leighton Buzzard’s town centre for a high street improvement scheme, a proportion of which has gone directly into the market. 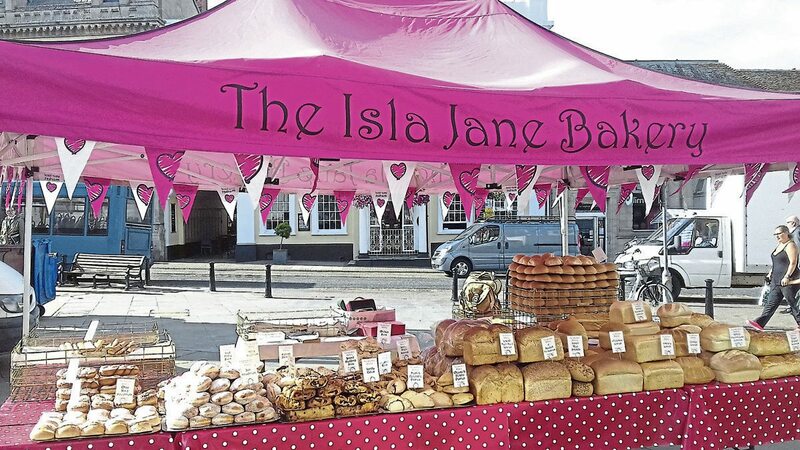 The market improvements have included the striking new branded gazebos, supplied by City B and canopies from Zapp and improved directional signage. The funding is part of a bigger allocation that will be spread across of CBC’s market towns. Nigel explained that future long-term plans include the re-routing of buses from the High Street on market days to create a safer, pedestrianised area. At the moment, the bus companies are opposed to the idea which suggests that this change isn’t imminent. Unfortunately, despite consultation with the traders and public, a few traders decided that they did not agree with the new proposals. The first opposition was from the fresh food traders who did not wish to move to the other side of the street as it was sunnier there and their produce would spoil. I accept their concerns, but there are food markets all over Europe that manage to protect their stock. Other complaints were based on the historic pricing policy introduced by the previous operator who ceased running the market in 2012. This had allowed traders to take as much depth as they wanted, without having to pay for it. The council, rightly, wanted a fair pricing policy across the board and the knock-on effect of this meaning that some of the trader’s rents would increase dramatically, with one trader saying that they would not be able to continue to trade. 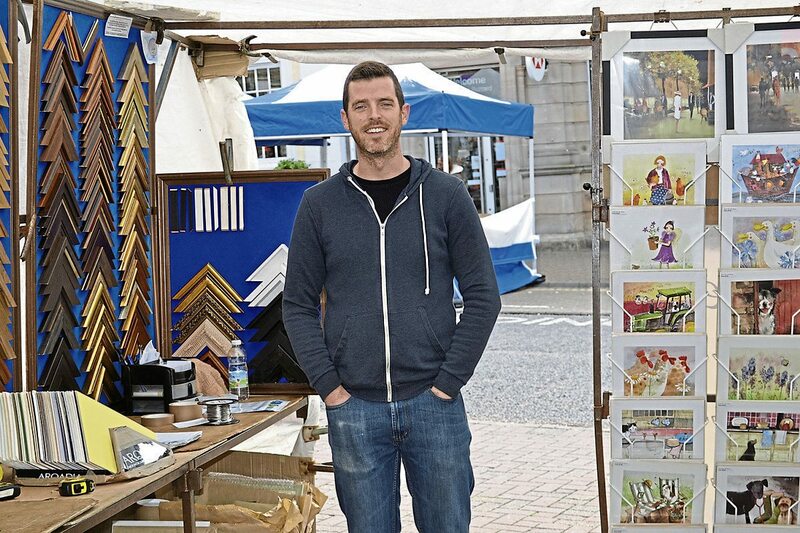 The restriction on the ‘maximum three gazebo trading space’ has also caused problems, as traders who have historically had larger trading areas have had to downsize. 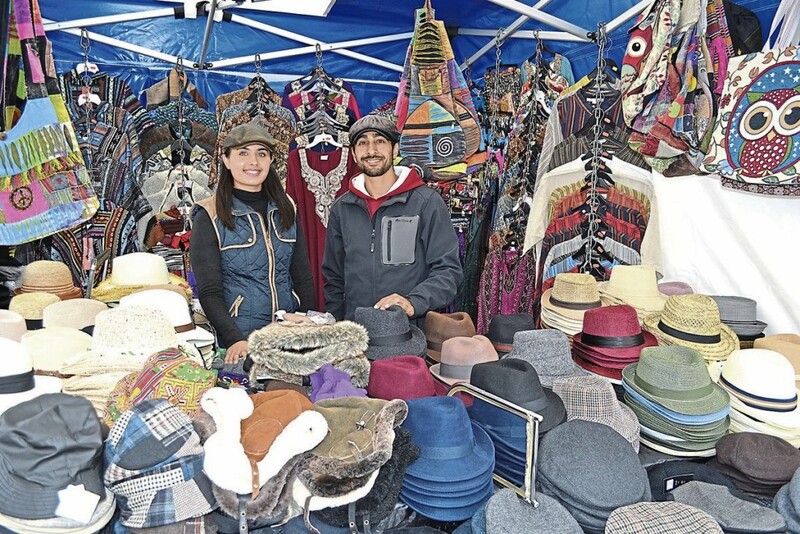 I guess this rule was implemented to create a market with more smaller stalls and therefore more variety, but when a number of trader’s stalls are cramped and they are willing to pay for more and can’t, it does seem a bit bonkers. My understanding, after talking to council representatives, is this is legally binding and, at present, cannot be changed. That said, Mark and Adrian were quick to affirm that the council are doing everything that they can to rectify this issue within the confines of the law. 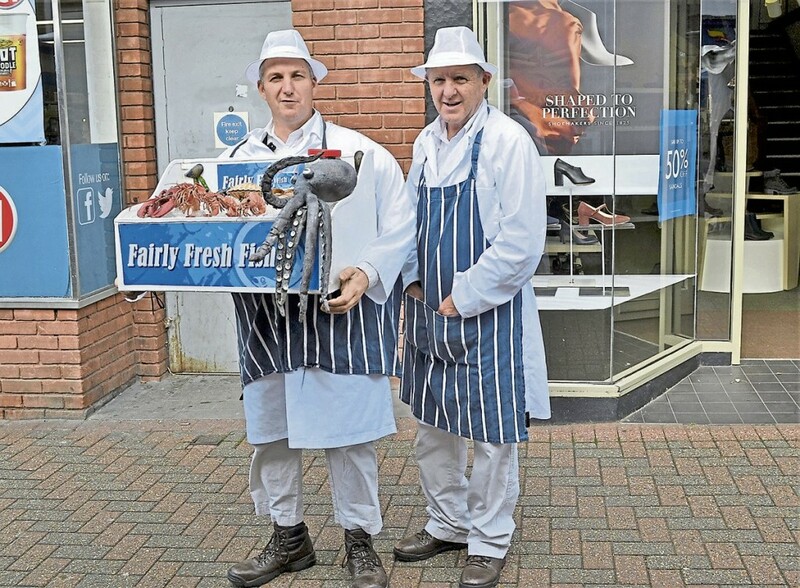 The town’s retailers were said to be happy with the proposed changes as it would increase footfall to their businesses but there were comments banded about on launch day that shops on the side where there was less trade was suffering. This came from traders and so I can’t substantiate their validity. Leighton Buzzard has a high-profile (in terms of local press) campaigner, predominantly Friends of the Earth related and this person was instrumental in orchestrating a ‘Save our Market’ campaign, raising petitions against the proposals, encouraging social media use and organising a protest march to take place on the day of the relaunch. This caused undue unrest throughout the town and the market community and, according to people I know in the area: “Kept them away from the market because they didn’t want to be intimidated” – strong words. It also presented the wrong message as it implied the market was under threat, where in fact, the council were very much showing their support for the market by investing heavily in it. Fortunately, the proposed protest was called off two days before relaunch, although there was an air of trepidation and there was quite a heavy police presence which soon dispersed when it became apparent that the protest had indeed been cancelled. 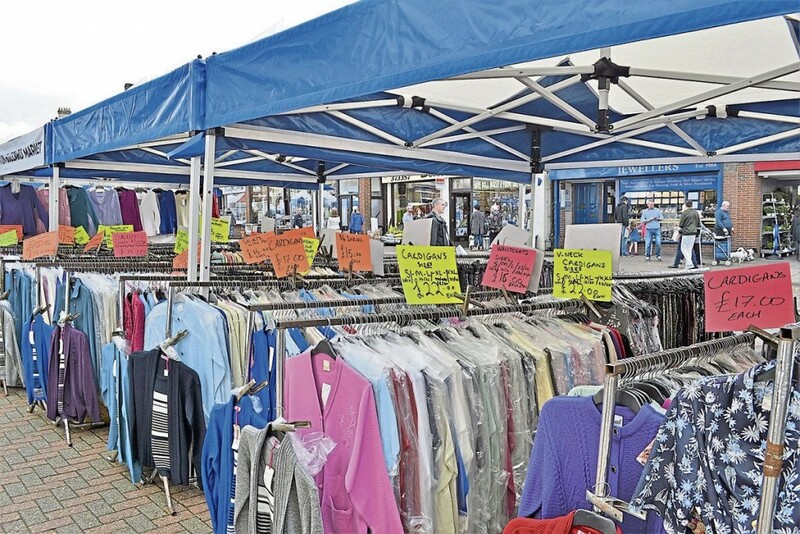 Despite some of the traders refusing to embrace the new gazebos and to relocate, the majority of the market had moved to one side of the street and was housed in smart, blue and white gazebos, with Leighton Market branding. The council had achieved (in the main) what they had set out to, to produce a smart, impactive shopping experience. 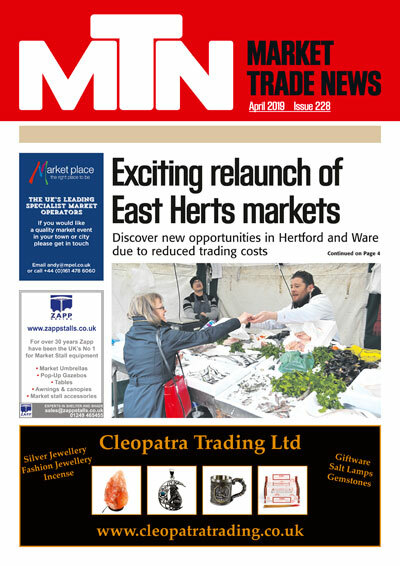 Town Crier, Peter Hailes, officially opened the market in full regalia, supported by council dignitaries, who had by no means shied away from the event and the Town Mayor, Cllr Syed Rahman. 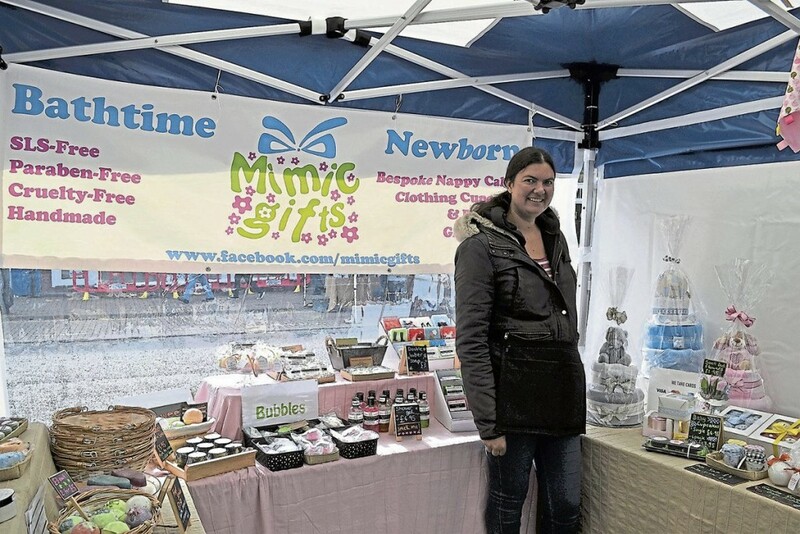 Carrier bags and branded rock were handed out to customers and a competition ran for everyone who made a purchase that day. 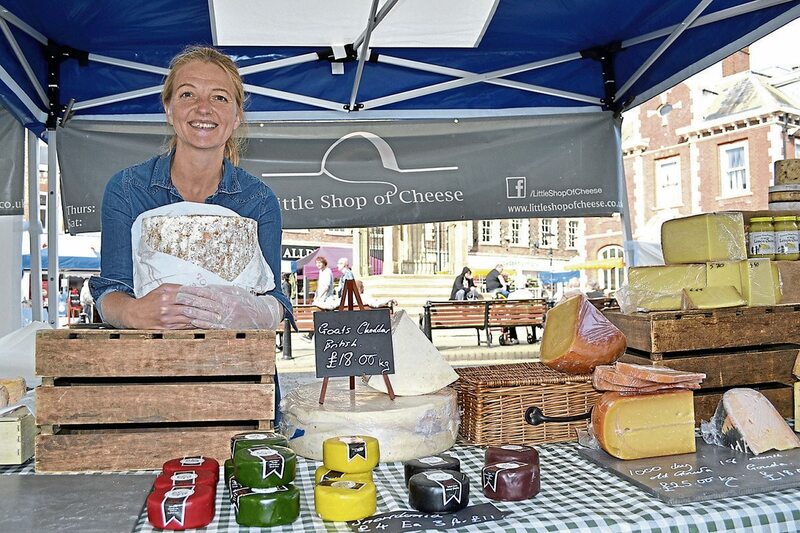 Hourly cookery demos using produce purchased from the market took place in a gazebo by the Ancient Market Cross and a series of entertainment was organised, both musical and interactive street entertainment to engage visitors and help increase dwell time. I spent a lot of time talking to traders and the general public and everyone I spoke to was very positive about the changes. They liked the gazebos and all thought it looked smart. 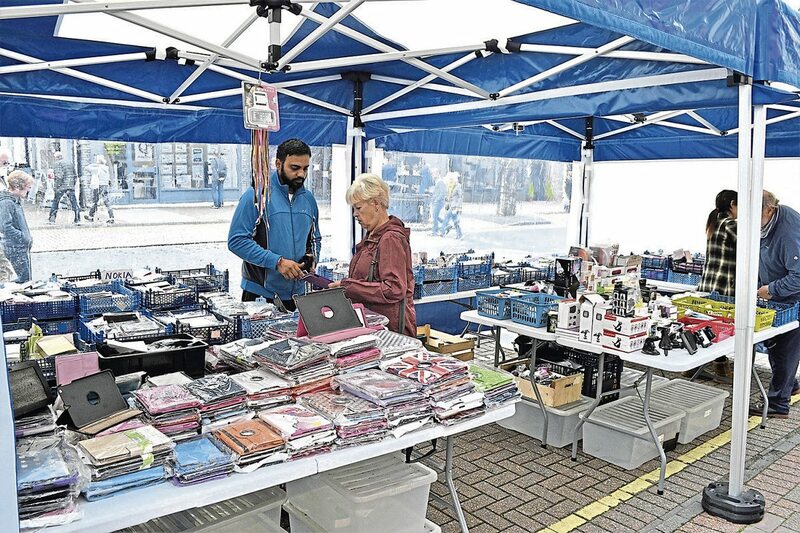 There were some grumblings that some traders thought the move and the gazebos were compulsory and that they were annoyed that not everyone had complied, particularly as the idea was to create an even playing field. What is needed is a little bit of space between the gazebos as the runs are too long. 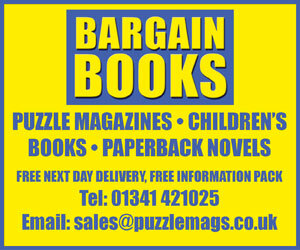 As with anything new there will always be teething troubles and it may take a few weeks for these all to be ironed out. Leighton is a great market. 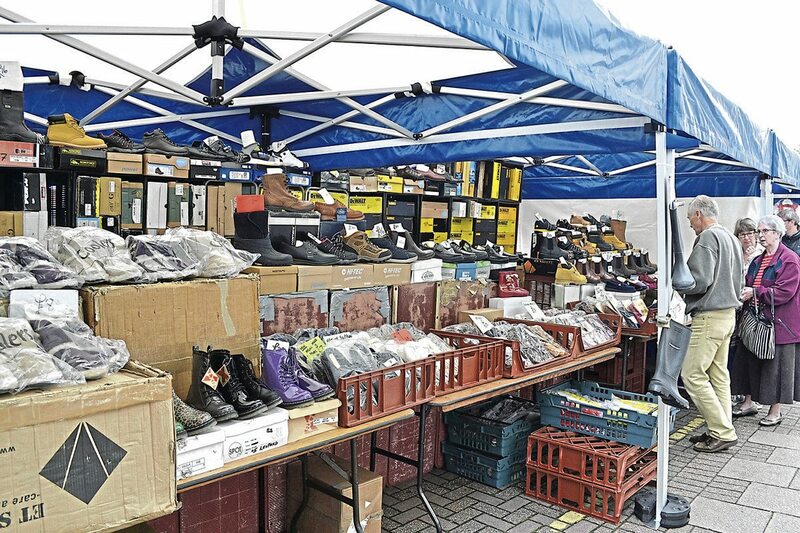 With between 40-45 stalls on average, it has all the basic fresh-food commodities you would expect as well as the market essentials. The quality of the produce on offer was high and the market traders clearly love their market. 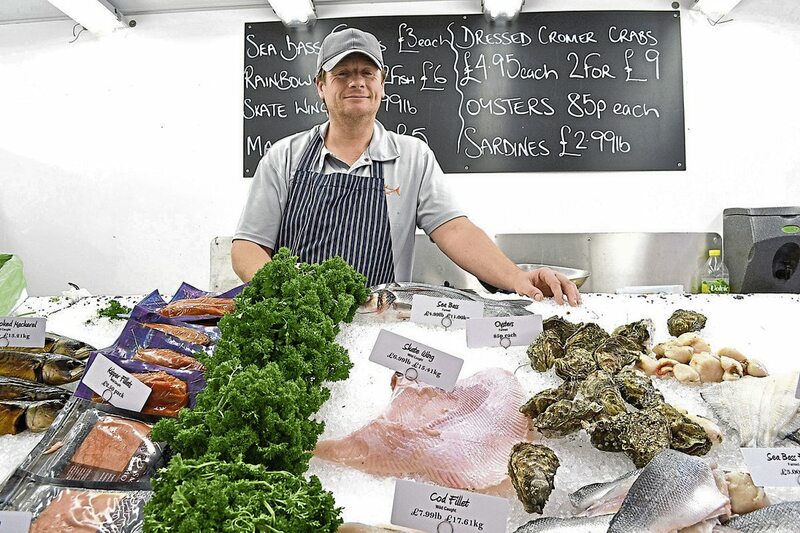 It was a real shame about the ‘them and us’ situated that was created, it creates completely the wrong impression, as what was very apparent is that everyone is working to the same end, to have a vibrant, thriving market full of quality produce, happy customers and happy traders. A bit of tweaking still needs to be done, but they are just about there. They have a market to be proud of and I hope that they can all learn to work in harmony for the success of the market and the town.